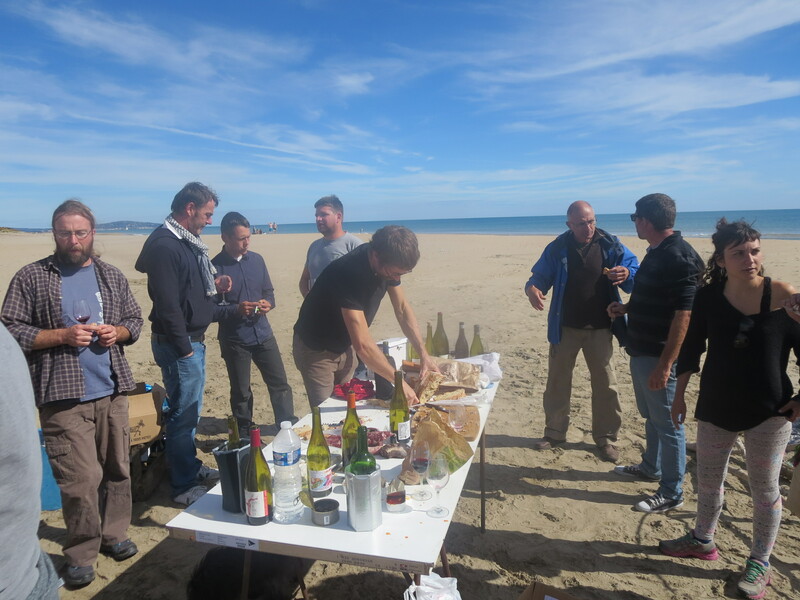 On October 8th a group of vignerons paid a visit to Domaine Vassal in Marseillan Plage, I was happy to be invited to join them. The visit boosted my growing interest in ampelography as well as being great fun, of which more later. 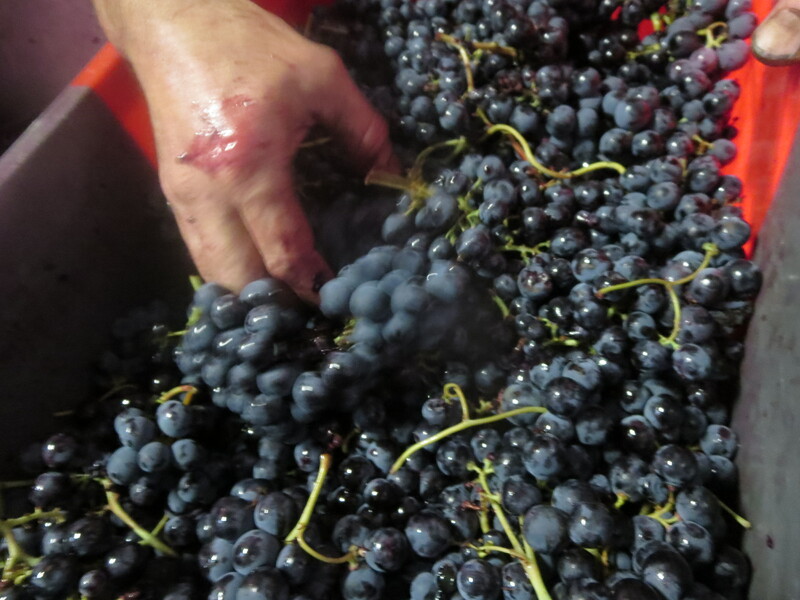 Domaine Vassal was founded in 1949 and is the largest collection of resources about grapes and vines in the world. Its own roots (apologies for the pun) lie in a collection gathered in Montpellier University after the outbreak of phylloxera. This was the disease which almost wiped out the wine industry in France when it arrived in 1863. It is the work of an aphid which lives in the roots of vitis vinifera the original vines of France and Europe including the cépages with which we are familiar such as Chardonnay, Syrah and Cabernet). Sadly, this aphid arrived from the USA, via England (those Anglo-Saxons! 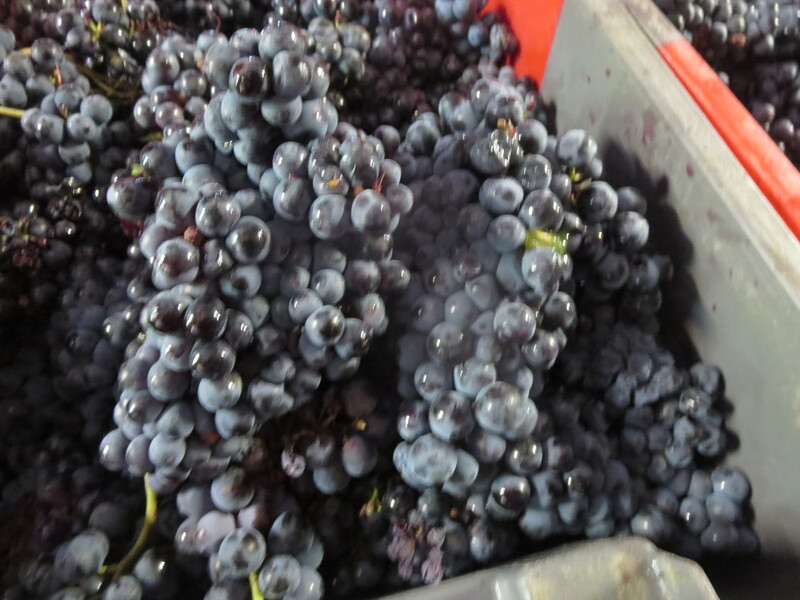 ), and ate its way through France’s vineyards. 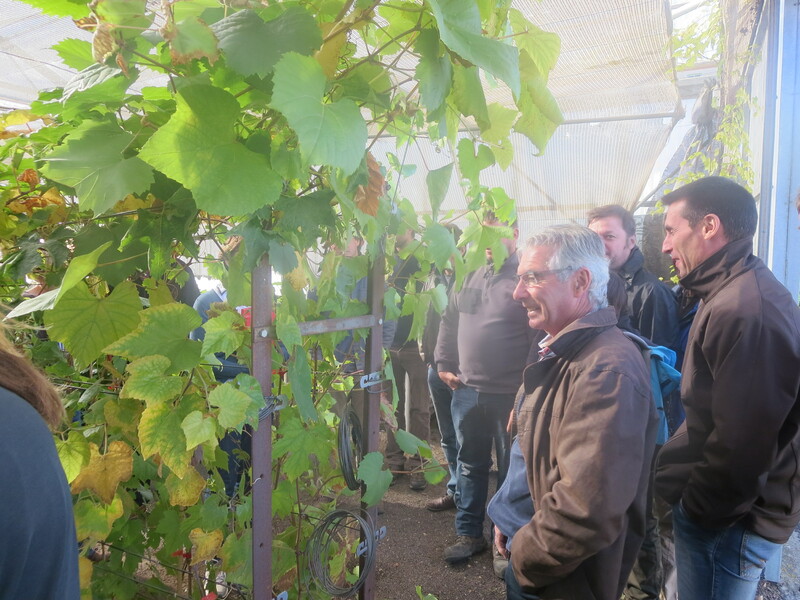 Montpellier started to conserve vitis vinifera and to study it and found the cause of phylloxera by doing so. 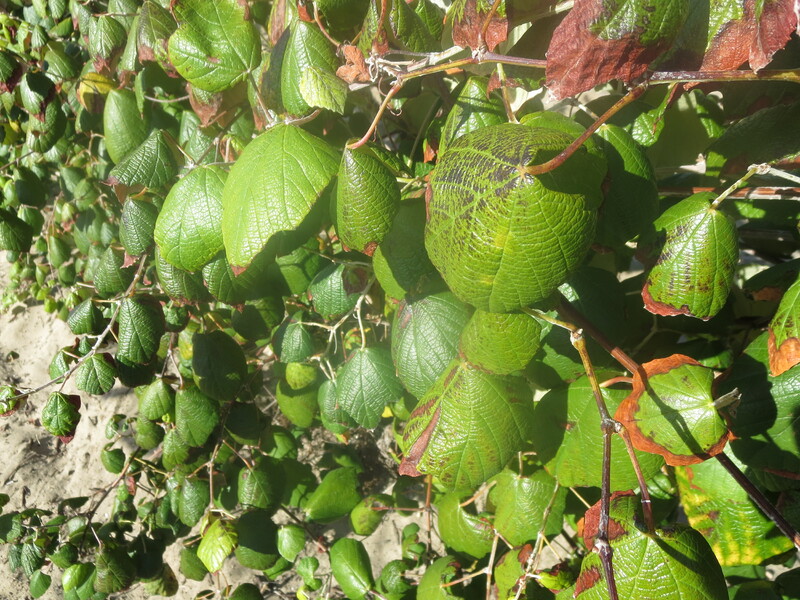 It was also discovered that American rootstock was resistant to the aphid so, by grafting vitis vinifera onto American rootstock, vignerons could grow the traditional cépages rather than hybrid vines of lesser quality. 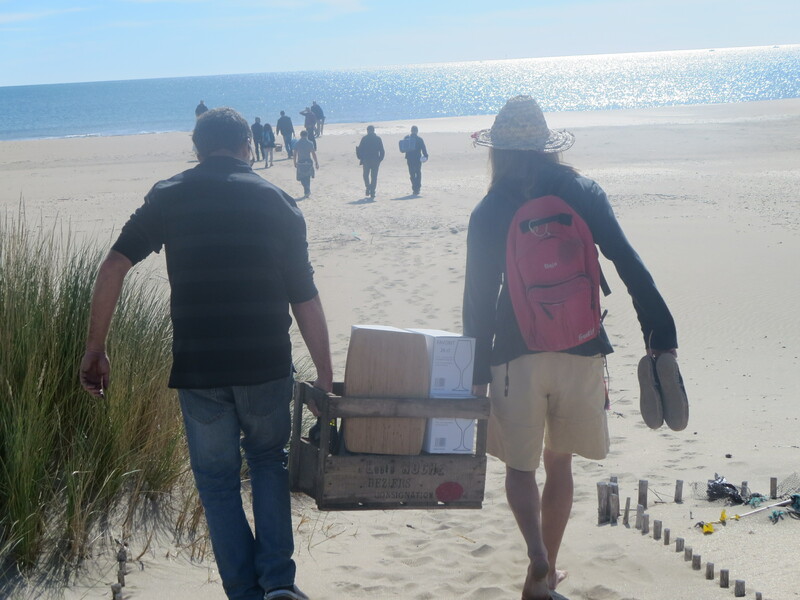 The other feature noticed about the aphid was that it could not live in sand and so the decision was taken to transfer the collection from Montpellier to Marseillan, Domaine Vassal’s grounds are sand. 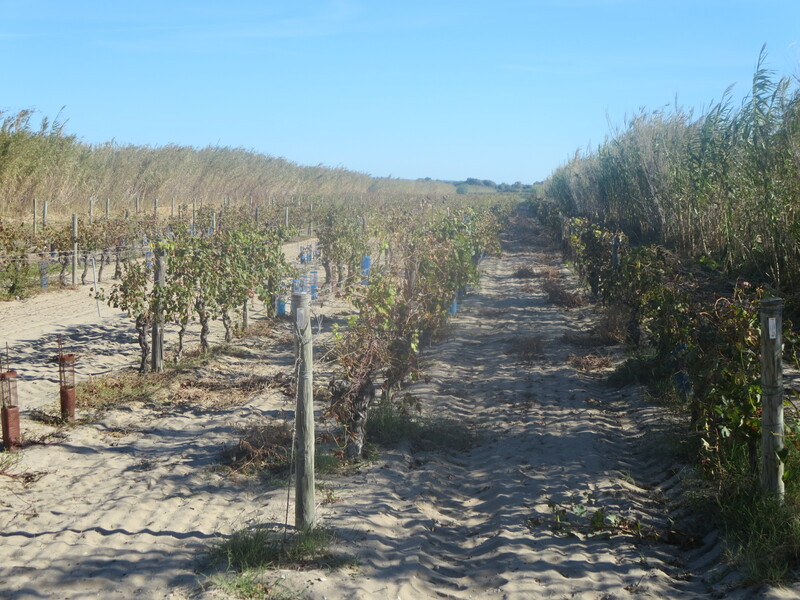 This means that the vines which are grown there can be grown directly from the sand, no grafting onto American rootstock is needed. Since 1949 some 14,000 species of vine have been collected together. The Domaine receives donations of vines every year, five examples are required for each arrival. Last year there was a higher than average number of arrivals (up to 900 plants), indicating that new varieties are still waiting to be added to our knowledge. 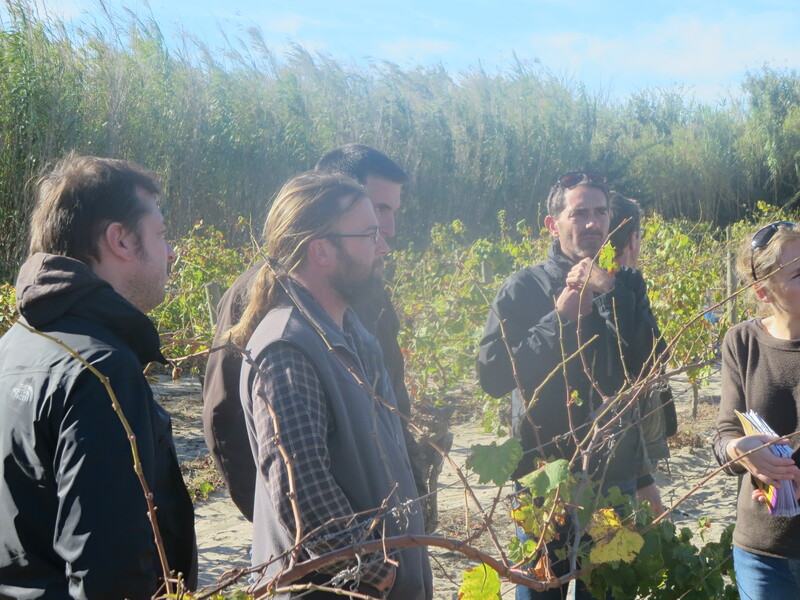 Researchers also go out to old vineyards to see if other vines can be found. These acquisitions are then planted. At first they may be placed in insect proof greenhouses to protect them and to be nursed. The plants are then placed on one of the fifteen parcels of land at the Domaine which covers around 27 hectares. 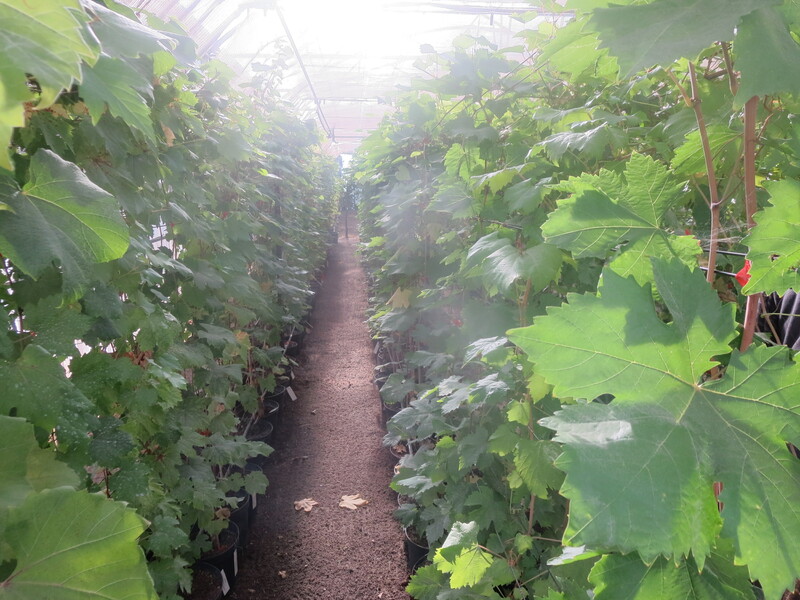 Most of these are vitis vinifera but there are also hybrids, wild vines and rootstocks. 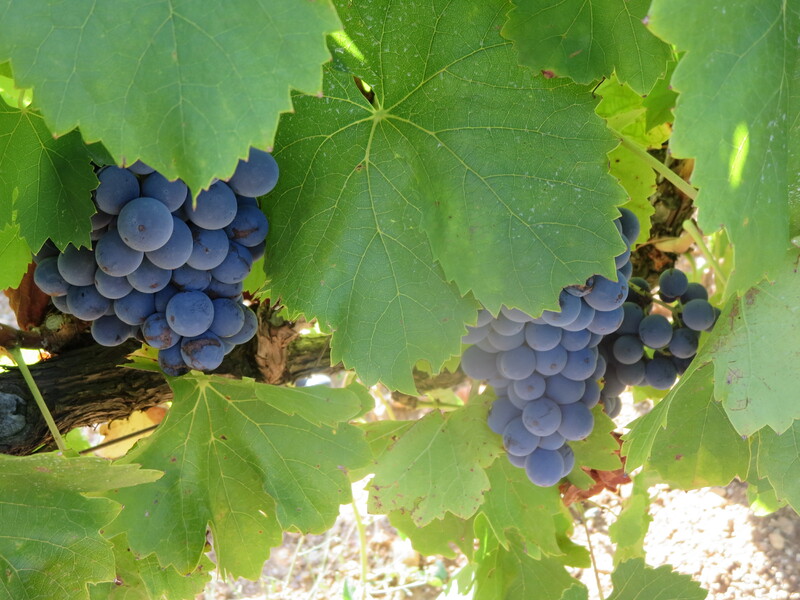 The vines are studied carefully by genetics and by identification through the leaves, grapes and other features so that they can be classified as new or doubles of already recognised vines. Samples of all aspects are taken and preserved in files to make a unique collection which is being digitised. 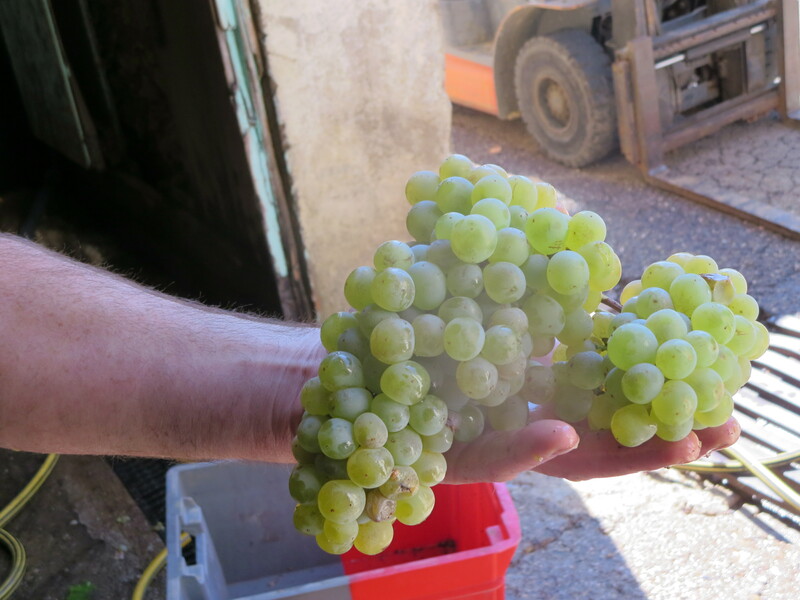 Further studies look to reveal how the cépage might be best grown, what yields it might offer, would they be commercial? With so many vines there are losses, but very few, and replacement plants are grown in the nurseries, almost 6,000 were planted last year. This is a vast undertaking and a hugely valuable resource. 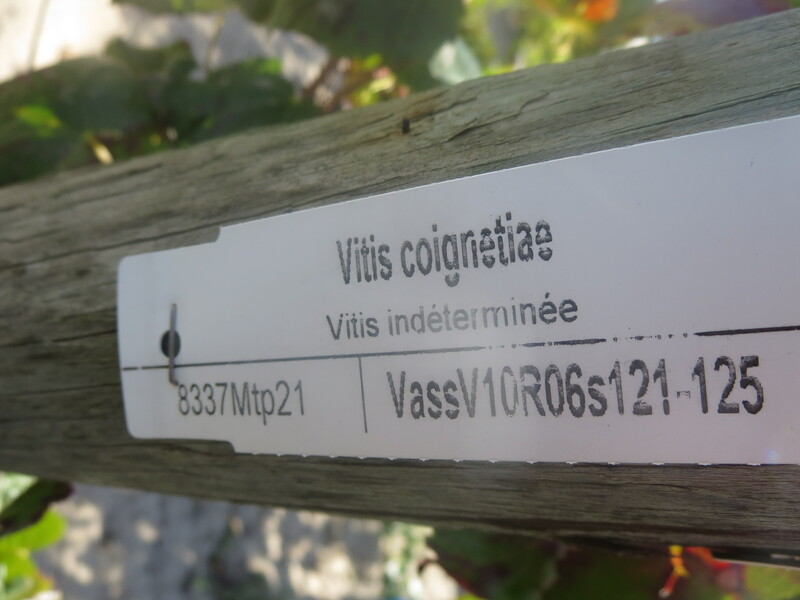 Vignerons are encouraged to visit and see whether they would like to trial some of the cépages in Vassal, trials which will run with a few plants and over 3 years. 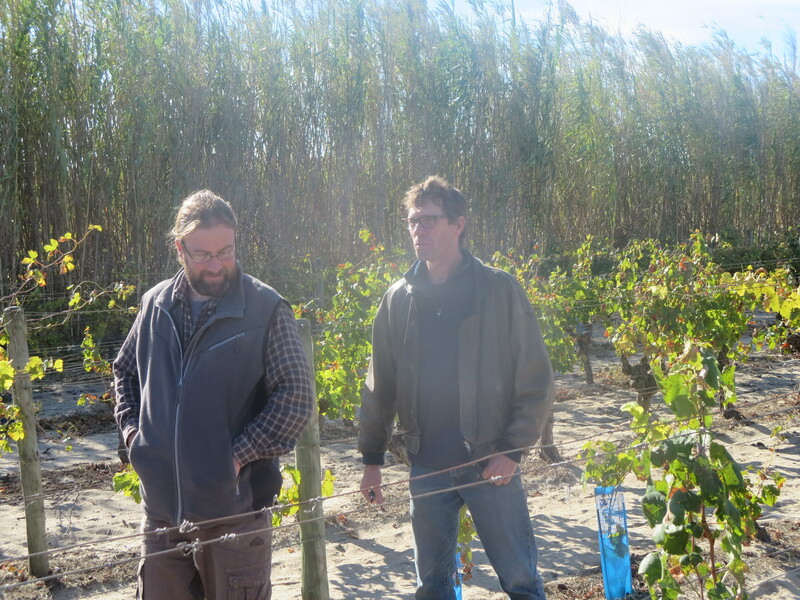 Jeff Coutelou is keen to do just that and is looking at what cépages might mix well into the array of different vines which he already grows. Indeed, when talking with staff at Vassal, he discovered that he might have one or two cépages which are not in their collection! This could be mutually beneficial. 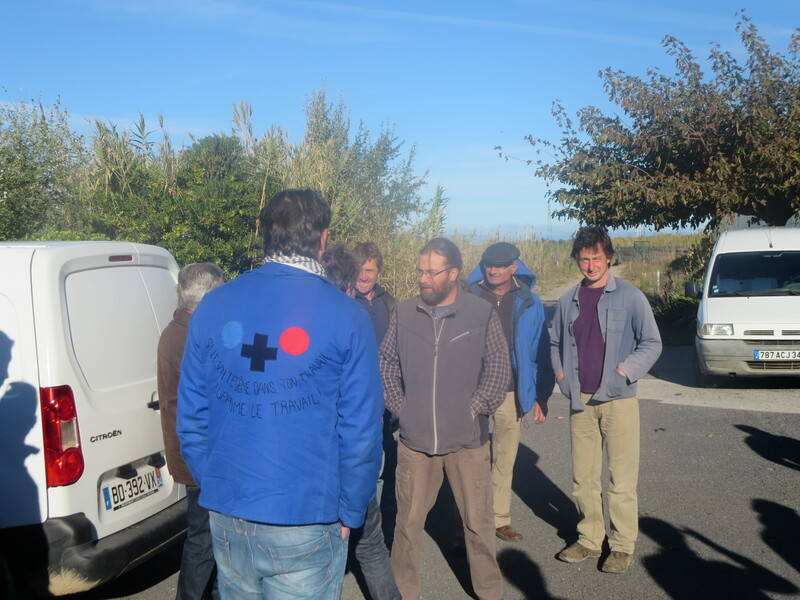 It was a fascinating place to visit and I applaud the work of Domaine Vassal. Unfortunately there is a cloud on the horizon, the collection is going to have to move. 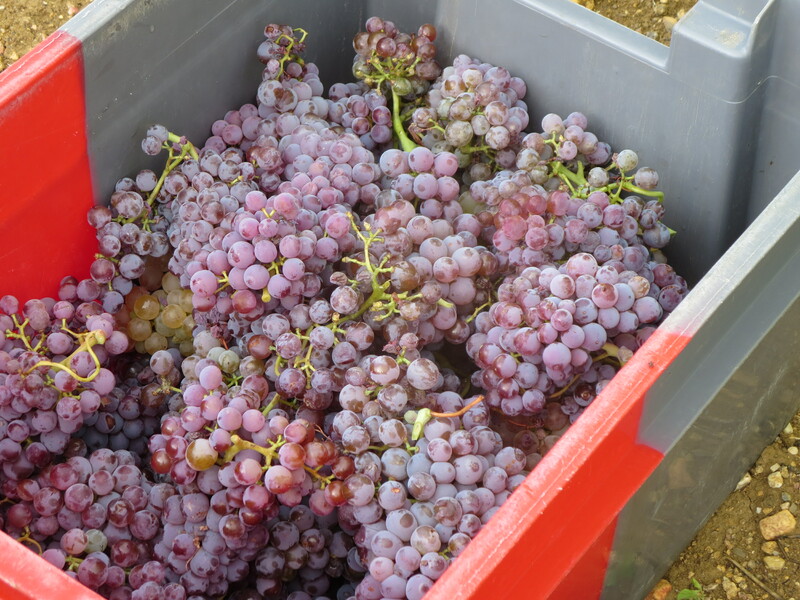 A site has been identified at Pech Rouge near Gruissan but every vine will need to be transferred and, as the new site will not be sandy, will also have to be grafted. This is a massive undertaking which will take a few years to accomplish and the staff are determined that no species will be lost. The professionalism and skill I see at Vassal will be tested, I am sure they will pass that test. 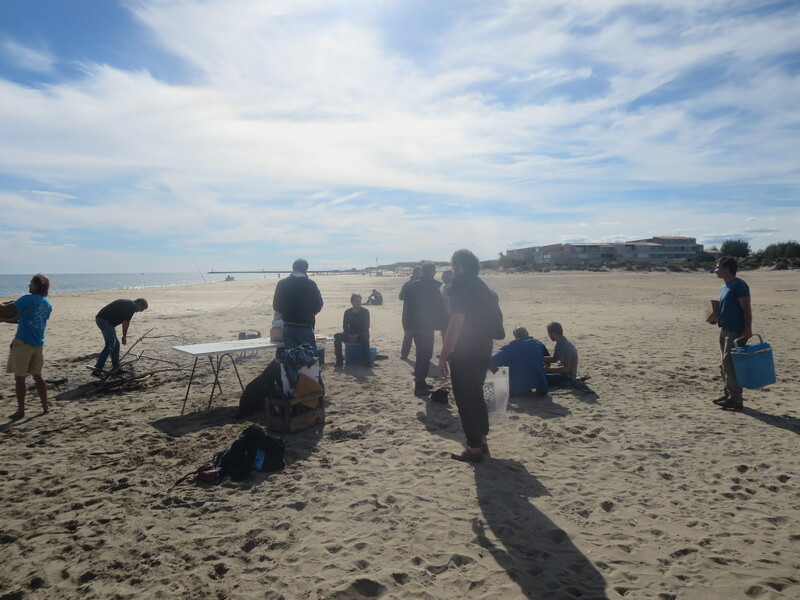 After the visit the vignerons decamped to the nearby beach, a fire was lit and a barbecue enjoyed. Accompanied, of course, by examples of many excellent wines appropriately from many cépages. There was no cloud on the horizon here. As well as Mas Coutelou there was Mas D’Agalis (Lionel Maurel), Fontedicto (Bernard Bellahsen), Julien Peyras, Grégory White, Yannick Pelletier, Fontude (Francois Aubry), Le Temps Des Cerises (Axel Prufer), Remi Poujol, Bories Jefferies (Joe Jefferies), Clos Fantine (Olivier Andrieu). 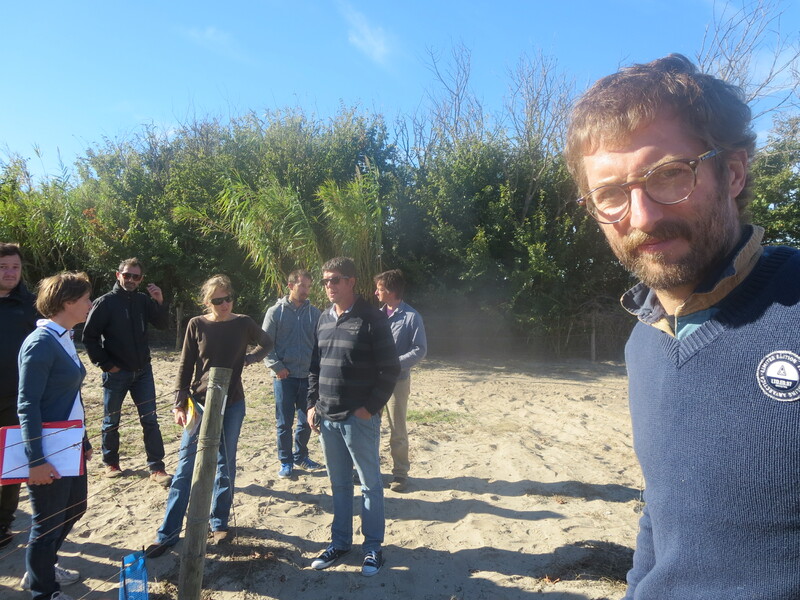 In other words the great and the good of Languedoc natural winemakers. It is interesting to see that this group is to the fore in promoting and conserving old and rare cépages, a natural fit. 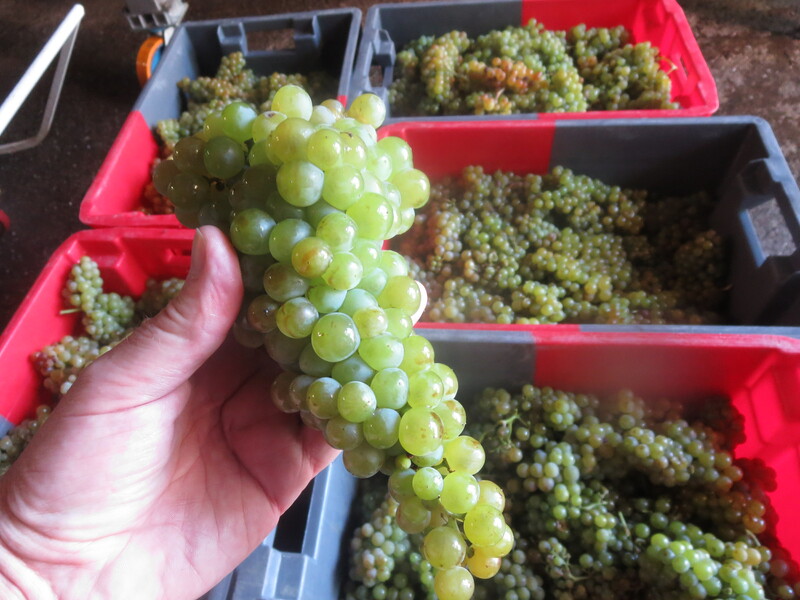 For a fuller account of Domaine Vassal’s work read this article by Ken Payton. 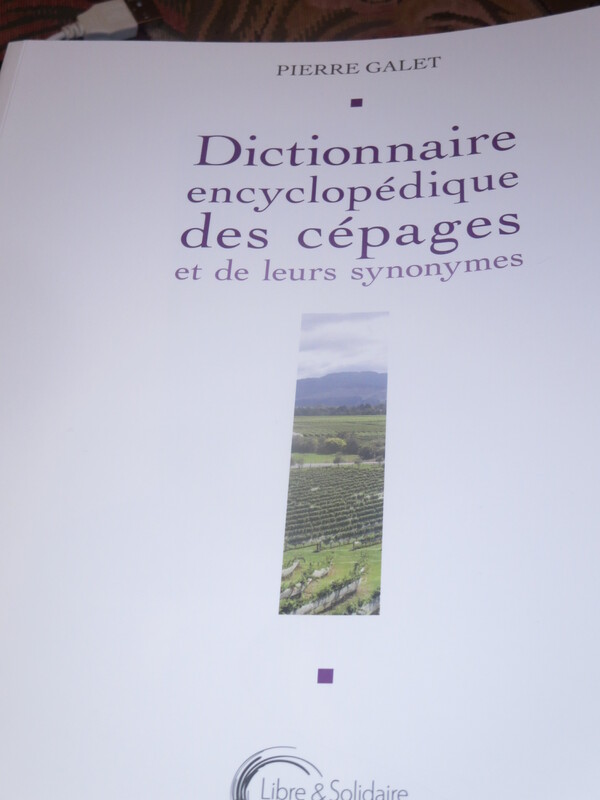 Categories: Vignerons, Vines | Tags: Galet, hybrids, Marseillan, phylloxera, rootstock, Vassal, vitis vinifera | Permalink. I’d heard about this resource, Alan, but unless I’m missing something, it seems a disaster it has to move (you don’t explain why?). The vines are ungrafted. If they need grafting onto American rootstock they will not be the same plants – as you know, every different rootstock has an effect on the plant. So it seems sad. In 2014 I visited the museum walled clos near Chateau-Chalon in the Jura region. It houses many of the indigenous grape varieties of Jura. It’s a wonderful feeling, standing among such history – vine varieties that only a few people (Ganevat being one) have in their vineyards now. It’s like strains of cereal crops or livestock breeds – which have nearly been wiped out. 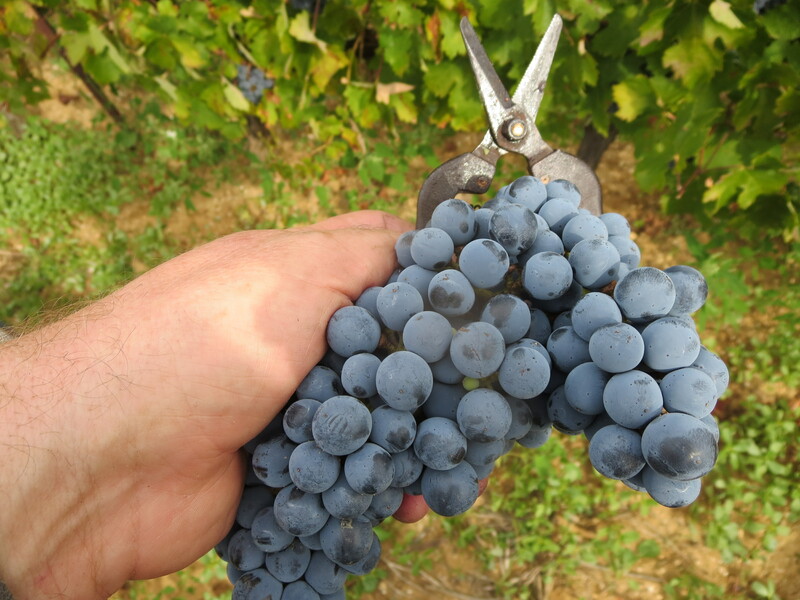 Modern viticulture has revealed the value of many varieties previously disregarded as having too low yields, being too difficult to grow, etc. Surely diversity is at the heart of sustainability. Completely agree David, the next wave of wines after natural could well be based around old cépages etc. Vassal leased their land from Listel (I believe) and that company was asking for a hugely higher rent (x10 it is reported), beyond the means of INRA. There is also a technical reason due to global warming and raised sea levels causing the sands to become more saline. 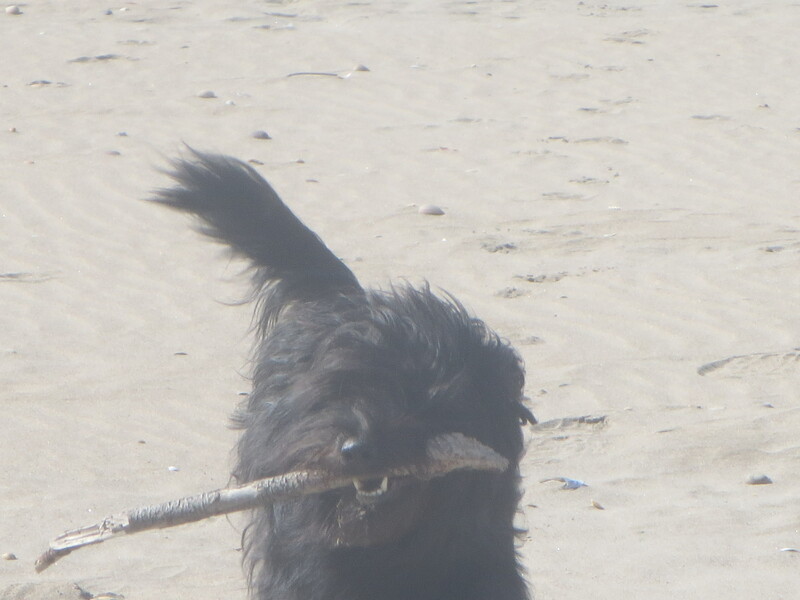 The team are determined to make a success of it and I honestly believe they are as able as anybody could be. However, fundamentally you are correct, grafting must, by definition, alter the nature of the vines. It is all regrettable, I cannot imagine the work ahead. Better grow some hair then! 😉 Seriously, though ,keep up the excellent work. Sorry for my previous typo. Yes, it is a great danger to remove own-rooted wines and graft them onto rootstock. 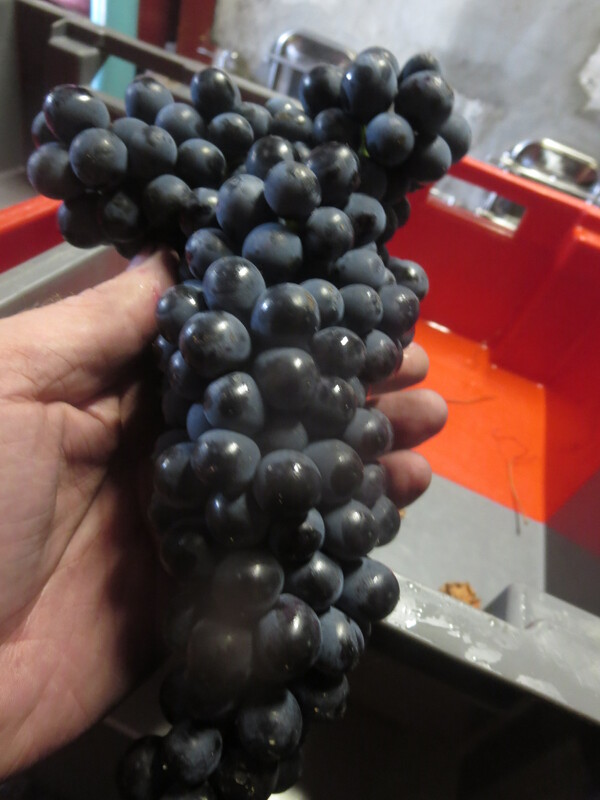 As I know, the wine coming from own-rooted Vitis Vinifera is the real thing. I mean the taste and the rest of properties are way different. It would be a pity to let these vines be destroyed. Vassal is both trademark and museum.